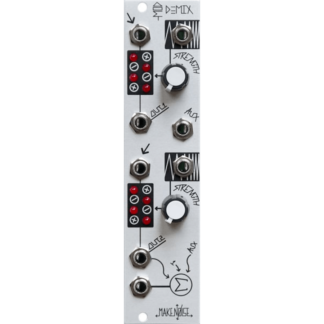 Linear, dual channel VCA. 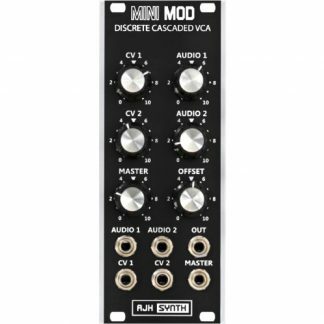 It uses a 2164 submodule to provide two independent channels of high fidelity, low noise amplification of audio or CV signals. 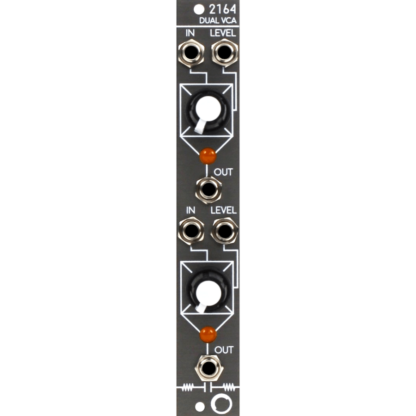 The Electrosmith 2164 VCA is a linear, dual channel VCA. 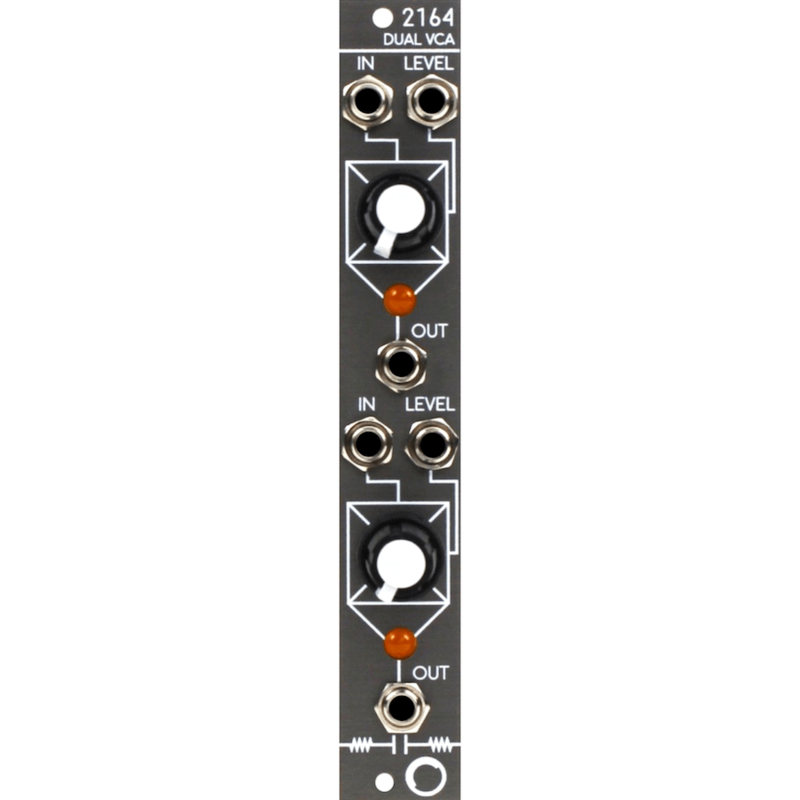 It uses our 2164 submodule to provide two independent channels of high fidelity, low noise amplification of audio or CV signals. Each channel has a dedicated offset knob that becomes an attenuator when CV is present. 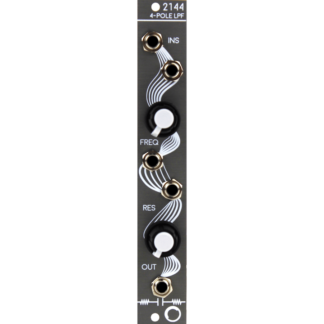 In addition, channel one normals down to channel two when no signal is inserted to allow for multiple amplifications of a single source without repatching. 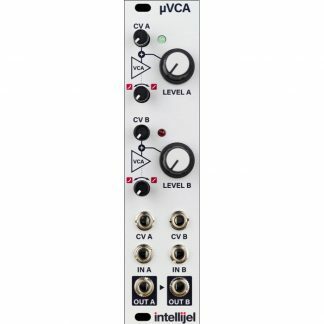 As we all know, you can never have too many VCAs!